Coppell High School senior Tariq Aman dribbles the ball up the court last Tuesday against Flower Mound. The Cowboys defeated Irving-Nimitz, 57-49, at Nimitz High School. IRVING – Even after three full quarters of being out-rebounded, out-scored and, for the most part, out-played, what it takes for a team to win is to get eight points in the last minute. 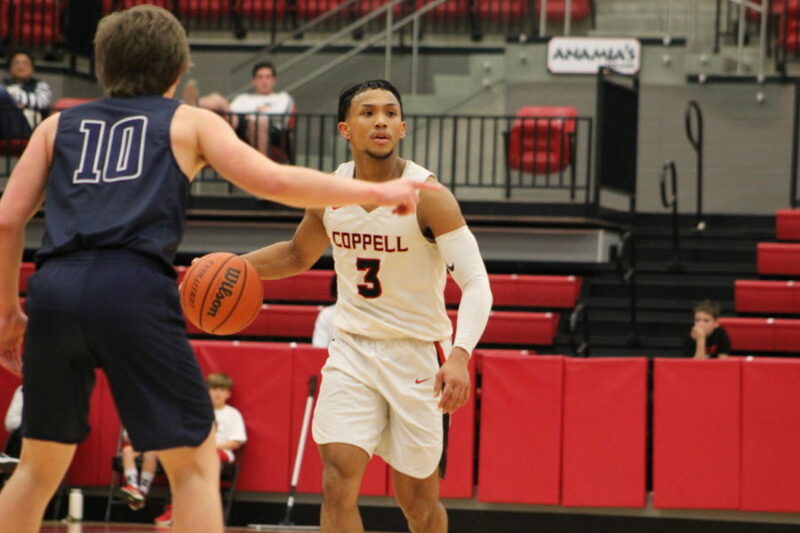 On Friday night, the Coppell basketball team did just that against Irving Nimitz, winning, 57-49. Aman hit all four free throws to give Coppell a 54-48 lead with 50 seconds to play. Nimitz then hit one free throw and Coppell made another three points to end the game. The Vikings held the lead through the first half. 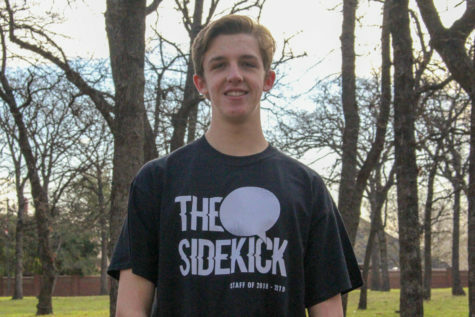 With the ability to grab rebounds and catch passes over Coppell players’ heads, Nimitz could score pretty often. By the end of the first half, the Vikings had a 32-30 lead. However, the score at the halftime buzzer is not necessarily a testament to the actual game. At points in the second quarter, the Vikings had a good five or six-point lead on Coppell. At the end of the half, however, Coppell senior forward Bridger Owens got fouled on a 3-pointer and made two of his free throws. The Cowboys play again at Irving MacArthur on Tuesday at 8 p.m.